Healthy sleep is foundational for all aspects of our well-being and mental health. It is the essential process by which our brain reorganizes itself, and prepares for the demands of new experience. 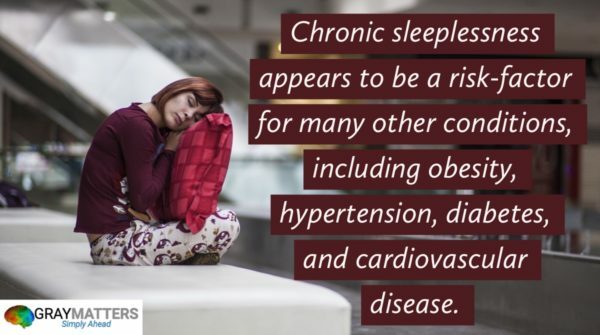 But for at least 40 million Americans who suffer from chronic sleep disorders, the impact of impaired sleep on their daily function is immeasurable. Neurofeedback seeks to improve how the brain regulates itself, and has been proven effective in treating sleep disorders for decades – even for people who’ve been struggling with sleep issues for years. 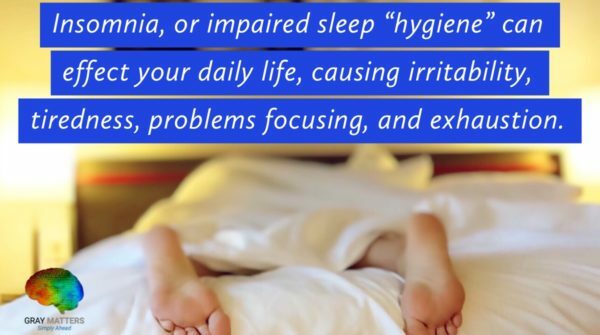 Sleep problems often reflect a brain that is “stuck” – a brain that has lost the ability to regulate itself, and is often chronically hyperaroused. Neurofeedback trains the brain to return to a normal equilibrium, resulting in deeper and more refreshing sleep and improved daytime function. Gray Matters uses the most advanced qEEG and neurofeedback techniques available, including 3 dimensional imaging (sLORETA and swLORETA) to identify dysregulated brain areas with unparalleled accuracy. This allows neurofeedback to be highly specific and targeted, and reduce symptoms in as few sessions as possible.